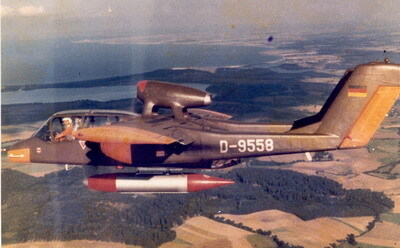 The OV-10B was manufactured for West Germany as a target-tug aircraft and is, with the exception of the OV-10D, the most radically different version of the OV-10 when compared to the basic A model. 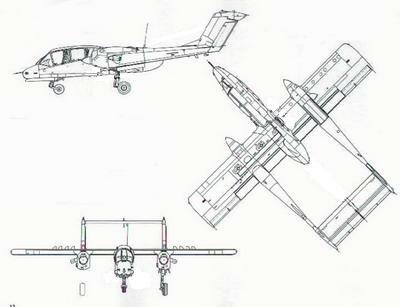 The OV-10B is derived from the OV-10A but has no weapons, no sponsons, and a glass greenhouse dome replaces the rear door so that the tow operator (who sits facing backwards in the cargo bay) can watch the towed target. The normal observers seat behind was removed. The OV-10B(Z) had a GE J-85-GE-4 turbojet engine rated at 2,950 lbst mounted above the wing on struts, above the centerline of the aircraft. 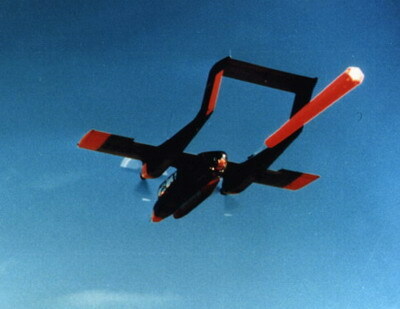 This served to increase speed by 100mph, halved the takeoff roll, and tripled the rate of climb.High fuel consumption and relatively marginal performance gains in the target towing role, saw the use of the Turbojet abolished after only a few years, with all airplanes reverting to the basic OV-10B configuration. These aircrafts served from 1970 until 1990. 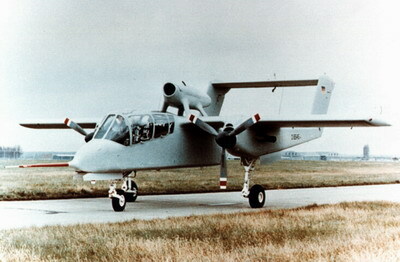 All german Broncos (12 OV10B(Z) & 6 OV10B) were delivered from the NAA Columbus, Ohio plant to Germany in basic OV-10B(Z) configuration, but without the target towing equipment installed. The target towing equipment was designed, developed and installed in Germany. One OV10B served as a trainer with dual controls but neither winch modification nor glass reardoor or WO seat.